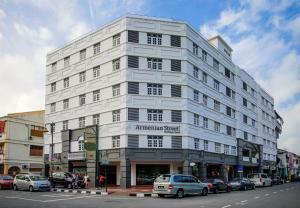 Hotels in George Town (Malaysia). 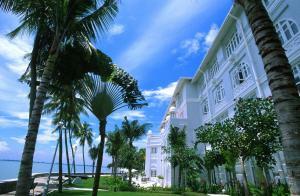 Featuring an outdoor pool and gym, Hotel Royal Penang overlooks the coastline and Georgetown. Massage services and sauna facilities await guests. Free internet access and free private parking are provided. Just a 5-minute drive from Penang Ferry Terminal, Royal Penang Hotel is directly linked to Penang Plaza Shopping Complex. China Town and famous local dining area, Nagore Place, is less than a 15-minute walk away. Carpeted and air-conditioned rooms at Royal Penang feature en suite bathrooms with bathtubs and hairdryers. Tea/coffee making facilities and minibars are provided. Hotel Royal has a tour desk that also assists with car rentals and currency exchanges. Guests can visit its business centre for their communication needs. Local specialities and an international buffet can be enjoyed at the stylish The Grove Brasserie. Colors Pub and Lounge is a place to relax and enjoy live entertainment by local artists. 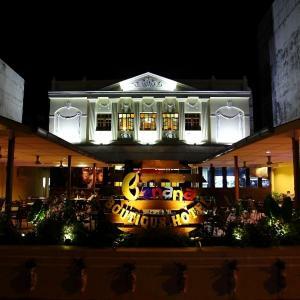 Cozy Home Inn is located in historic George Town in Penang, a UNESCO World Heritage Site. Enjoying easy access to dining and entertainment options, it offers rooms with free Wi-Fi. Just 5 minutes’ drive from the World Heritage Zone, Cozy Home Inn is approximately 15 km from Penang International Airport. Air-conditioned rooms are equipped with a TV, hairdryer and ironing facilities. Private bathrooms feature shower facilities and bath amenities. 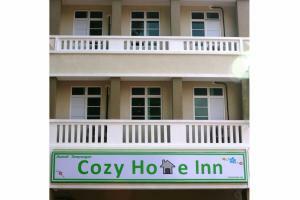 Cozy Home Inn provides daily housekeeping, as well as laundry and ironing services. Fax and photocopying services are also available. Canned and bottled drinks can be purchased at the lobby. The inn is located next to a restaurant which is open for all-day dining, while local cafés are only a few minutes’ walk away. Located in a quiet neighbourhood in Penang’s Georgetown, Mango Tree Place combines wooden furnishings with charming designs. It offers free Wi-Fi. Mango Tree’s air-conditioned suites come with a 32-inch flat-screen TV, DVD player, and fridge with minibar. Private bathrooms provide shower facilities. Mango Tree Place is a 35-minute drive from Penang International Airport. It is a 10-minute bus ride from Georgetown Bus Terminal and the Heritage Core Zone. Anggerik Lodging is a basic guesthouse offering simply furnished rooms with air conditioning and cable TV. Located 1 km from Universiti Sains Malaysia (USM), it is a 15-minute drive from Penang Town. The property offers free parking. Simply furnished, air-conditioned rooms feature a cable TV, a fan, and a private bathroom with shower facilities. Anggerik Lodging is a 20-minute drive from Queensbay Shopping Mall. Penang Airport is a 30-minute drive away. E-Gate and TESCO are accessible within walking distances away. The 24-hour front desk provides currency exchange and fax/photocopying services. Car rental and airport transfers can be arranged. Free WiFi is available in public areas. D’Café serves local cuisine all day. Guests can also order room service. Enjoying a beachfront location on Penang Beach, Paramount Hotel provides well-appointed rooms since 1948. 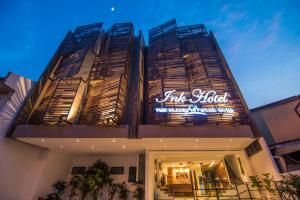 It offers free Wi-Fi in the entire hotel and easy access to the Penang Heritage Trail. Hotel Paramount is a convenient 15-minute walk from popular tourist attractions like the Kedah House, one of the many luxurious mansions in this area. Penang Airport is a 20-minute drive away. 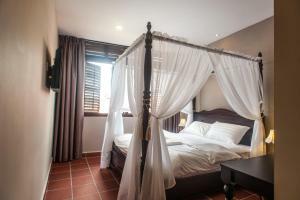 Rooms are simply furnished and feature air conditioning, a seating area and en suite bathroom. Some rooms have a bathtub. The restaurant provides breakfast daily for guests’ convenience. 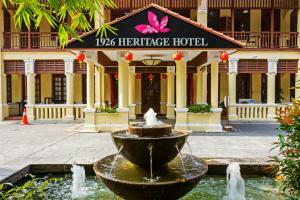 Chulia Heritage Hotel is centrally located in the UNESCO World Heritage Site of Penang. Offering stylish yet affordable rooms, it has a 24-hour front desk. Free Wi-Fi and free parking are provided. Featuring white interiors, the bright air-conditioned rooms come with a flat-screen cable/satellite TV, tea/coffee making facilities and a hairdryer. Rooms have either shared or private bathrooms. The hotel is a 10-minute drive from Gurney Drive, famous for local food. There are also local shops and eateries within a 5-minute walk from the hotel. Guests can rent motorbikes to explore Penang at leisure. The hotel also provides luggage storage and safety deposit boxes at the 24-hour front desk. 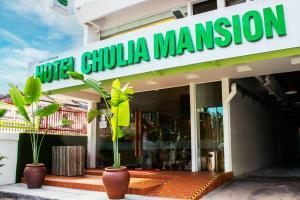 Chulia Heritage Hotel is a 5-minute drive from Penang Museum, the Tourist Information Centre and Fort Cornwallis. It is 17 km from Bayan Lepas International Airport. Housed in a traditional Malaysian shophouse originally built in the 1920s, Moon Tree 47 offers charming rooms in the UNESCO Heritage Site of Georgetown. It features a café with an international menu and free Wi-Fi in the entire guesthouse. The Moon Tree is located a 45-minute drive from Penang International Airport and is 5 minutes' drive away from Weld Quay Bus Terminal. Uniquely designed and beautifully decorated with warm earthy tones, the rooms offer a relaxed and cosy feel and basic facilities like a fan or air conditioning. Some rooms have en suite bathrooms and a private balcony. Guests can enjoy a refreshing drink at the bar. The guesthouse provides newspapers, laundry and bicycle rental services for guests’ convenience. 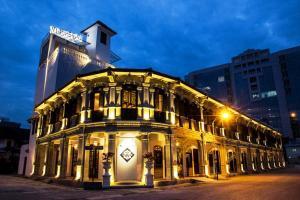 Housed in a 19th century colonial house, the charming Deluxcious Heritage Hotel is located in the Georgetown, Penang. Its stylish rooms are fitted with free Wi-Fi and a flat-screen TV. A spa and restaurant are available. Deluxcious Heritage Hotel is a 5-minute drive from attractions like Fort Cornwallis, Komtar and the State Museum. 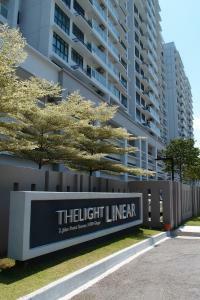 It is a 15-minute drive from Gurney Drive and a 30-minute drive from Batu Ferringhi Beach. Decorated in elegant cream colours, air-conditioned rooms have wooden flooring. An electric kettle and slippers are included. En suite bathrooms have hot-water showers. Deluxcious Spa provides a relaxing menu of body massage and facials. The hotel also has free parking. Deluxcious Spa Cuisine serves healthy soups and fusion Asian-Western dishes. Campbell House is conveniently located a 5-minute drive from Penang Museum and is surrounded by a variety of local shopping and eating options. It provides beautifully designed rooms with a seating area and free Wi-Fi. The spacious rooms are all air conditioned and equipped with a flat-screen cable TV, a laptop safe and an iPod docking station. They also have a minibar, ironing facilities and modern bathroom facilities. The Campbell House is located about 17 km from Bayan Lepas Internatinal Airport and a 10-minute drive from Gurney Drive. Parking is available on site. IL Bacaro Restaurant serves Italian dishes. Meals can also be enjoyed in the privacy of guests’ rooms. There is also a bar on site. Guests who wish to enjoy a quiet day indoors, can make use of the hotel’s library. For convenience, the hotel provides laundry and ironing services. Banana Boutique Hotel is housed in a restored heritage building on Chulia Street in Georgetown. Offering free Wi-Fi and parking, it is just 2 minutes' walk from local eateries at Upper Penang Road and a 5-minute drive from KOMTAR. Featuring coloured glass frames and warm lighting, the air-conditioned rooms are equipped with a flat-screen TV, electric kettle and free bottled water. Bathrooms come with either hot-water showers or a bathtub. Banana Boutique Hotel is a 15-minute drive from Gurney Plaza. It is a 40-minute drive from Bayan Lepas International Airport. Guests can arrange day trips or exchange foreign currency at the tour desk. The 24-hour front desk provides daily newspapers. The on-site restaurant serves a selection of Chinese and Western dishes. 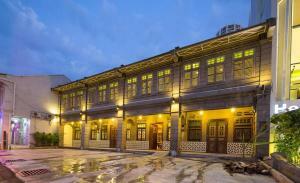 Kim Sun Hotel is situated in Georgetown, a UNESCO World Heritage city. It is a 5-minute walk from Little India and within a 15-minute walk of Komtar and Khoo Kongsi Temple. Rooms offer air conditioning and a fan. Some have an attached bathrooms, while others come with shared bathrooms. Ironing facilities are available on request. Complimentary Wi-Fi is available in the hotel’s public areas. Reception staff can assist with luggage storage or airport shuttle services. Free parking is possible at a nearby location. There is a local food centre located a 5-minute walk away. Kim Sun is a 10-minute drive from Penang Port and a 25-minute drive from Batu Ferringhi Beach. Penang Airport is a 30-minute drive away. It takes 10 minutes by car to Penang Times Square and 15 minutes to the UNESCO World Heritage Site of Georgetown. Penang International Airport is a 30-minute drive away. An airport shuttle service is available. All rooms at The G Inn come with a safe, a writing desk and a tea/coffee maker. Ironing facilities and a hairdryer are provided on request. G Diners serves Western delights at lunch and dinner. A buffet breakfast is offered daily. These luxurious 19th century heritage suites occupy a prime seafront location in Georgetown. Offering 24-hour butler service, 5-star amenities include a large outdoor pool, first-rate spa and free Wi-Fi. A 15-minute stroll from Penang’s UNESCO Heritage Site, Eastern & Oriental Hotel is 3.3 km from popular Gurney Drive. It is 20 km from Penang International Airport. Featuring classic wood furnishings and floral prints, spacious colonial-style suites come with ample lounge and work areas. They come with a safe, cable TV and large bathrooms with a claw-foot bathtub. Lazy afternoons in the sun can be spent by Eastern & Oriental’s outdoor pool, which boasts views of the sea. Other leisure options include a fitness centre and bicycle rental services. Eastern & Oriental Hotel has 6 dining options, including The 1885 which serves traditional English afternoon tea. Sarkies Corner offers a range of international and local dishes. Located in Georgetown’s 1-Stop Midlands Park business and entertainment complex, Georgetown City Hotel houses an outdoor pool. Its rooms feature 24-hour room service and views of the city. Free Wi-Fi is available. Georgetown City Hotel is about 500 metres from Gurney Plaza shopping complex and less than 1 km from Gurney Drive, which offers a variety of eating options. Modern air-conditioned rooms are equipped with a flat-screen TV and a minibar. Private bathrooms come with a hairdryer. Guests can exercise in the fitness centre or use the hotel’s business centre. Car rentals and a currency exchange service are available. Georgetown City Hotel’s in-house café offers local and international dishes, while the bar serves a variety of beverages and provides live music entertainment. 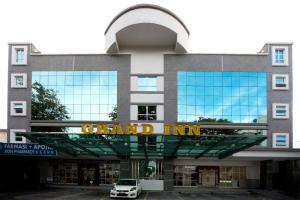 Grand Inn Hotel is located in central Georgetown, a 5-minute drive from Komtar. It offers a 24-hour front desk and free Wi-Fi throughout the building. Free parking is provided. Hotel Grand Inn is located a 10-minute drive from Gurney Plaza and a 20-minute ride from Penang Hill. Batu Ferringhi Beach and Penang International Airport are a 30-minute drive away. Air-conditioned rooms are fitted with a flat-screen TV and telephone. En suite bathrooms include free toiletries and a shower. Ironing facilities and a hairdryer are available upon request. A water dispenser is available on each floor of the hotel. Fax and photocopying services are offered for convenience. Luggage storage is provided at the front desk. 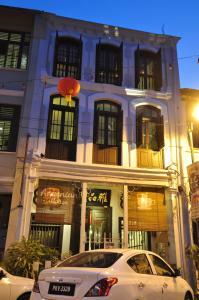 Noordin Mews is a boutique hotel housed in a historical building in central Penang. It offers an outdoor pool and provides free Wi-Fi throughout the building. Noordin Mews is situated a 5-minute walk from Komtar and 1st Avenue. Heritage Area is a 10-minute walk from the hotel while Gurney Drive is a 15-minute drive away. Rooms and houses come with both air conditioning and a fan. A flat-screen cable TV, ironing facilities and free toiletries are provided. Select rooms have an attached living area. Guests can head to the library for a quiet read, or opt for a relaxing massage to unwind. Ticketing and car rental services are available. Luggage storage is provided at the 24-hour front desk. This hotel has a bar. Local Penang food is available a 5-minute walk from the hotel. Located just a 2-minute walk from Penang Times Square, Hotel Munlustay 88 provides elegant rooms fitted with modern amenities. They also enjoy views of the city and free Wi-Fi. Public parking is available at a nearby location. The hotel is situated a 5-minute drive from Komtar and 20 minutes from Gurnea Drive. Georgetown is a 25-minute drive away, while Penang International Airport is 35 minutes away from the hotel. Munlustay 88 Hotel provides an airport shuttle service on request. 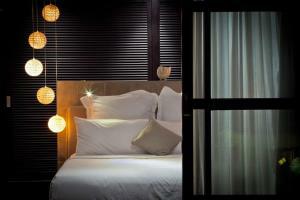 All rooms feature elegant wood flooring, fine beddings and a flat-screen satellite TV. They are fully air conditioned and come equipped with a writing desk, an electric kettle and ironing facilities. The hotel has a 24-hour front desk and provides luggage storage and car rental services. For meals, there are many eateries serving Chinese and Halal food options within a 5-minute walk of the hotel. Set in a restored historical building in the heart of George Town, Museum Hotel offers traditionally decorated rooms and houses a 24-hour fitness centre with free Wi-Fi access throughout the property. Decorated with colonial-era furnishings, rooms at Museum Hotel are fitted with air-conditioning and come with ironing facilities, a flat-screen TV and a minibar. Free toiletries and a hairdryer are included in the attached bathroom. Featuring a spacious reading corner with an array of books and reading materials, the hotel also offers a 24-hour front desk to assist with luggage storage and free private parking facilities. While the hotel does not house a restaurant, guests can sample local dishes like the popular Nasi Kandar and other Nonya and Malay cuisines, just a 10-minute walk away. The property is a 20-minute walk from the historical Fort Cornwallis. Situated next to the new central business district, the hotel is just 25 km from Penang International Airport. A 5-minute drive leads to the shopping options of Gurney Plaza. Conveniently located within a 5-minute walk from Penang Times Square, Old Penang Hotel houses beautiful rooms fitted with modern amenities and free Wi-Fi. It has a 24-hour front desk and public parking on site. 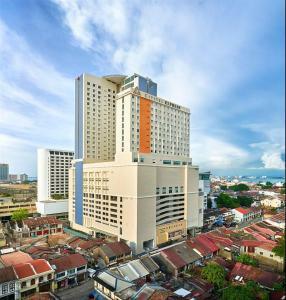 Old Penang Hotel (Penang Times Square) is located a 15-minute drive from Gurney Plaza and Gurney Paragon. It takes 45 minutes by car from the hotel to Penang International Airport, while Prangin Mall and 1st Avenue are only a 5-minute walk away. The rooms are fully air conditioned and come equipped with a satellite TV, an electric kettle and freshly laundered bedding. A hairdryer and free toiletries are provided for guests’ convenience. For meals, there are various dining options within walking distance of the hotel. Located in bustling George Town beside New World Park, Tune Hotel - Downtown Penang is just a 5-minute drive from Komtar, Penang’s famous skyscraper. It offers basic rooms with an attached bathroom. A 24-hour front desk and security system is available. Downtown Penang’s Tune Hotel is a 5-minute drive from George Town’s heritage sites and a 30-minute drive from Penang International Airport. Rooms come with both air conditioning and a fan. Bed linen, hot water shower and towels are provided. Each also has a safety deposit box. Luggage storage facilities are provided at the front desk with a surcharge. Parking and WiFi are also available at a charge. Within walking distance of the hotel is the famous Lorong Selamat Char Koay Teow. Batu Ferringhi is a 30-minute drive away. This charming guesthouse is located in Georgetown and offers homely accommodation just a 5-minute walk from the Unesco Heritage Site. Red Inn Heritage Guesthouse houses a comfortable lounge area, a games room and provides free Wi-Fi throughout the property. 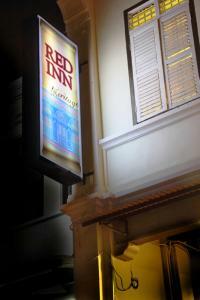 Red Inn Heritage Guest House’s rooms are fully air conditioned and fitted with elegant wood flooring. Most rooms have private bathroom facilities. The bathrooms have jet spa options. The lounge has a flat-screen TV with satellite channels, a sofa set and a billiard table. The guesthouse is located a 10-minute walk from the vibrant Little India and a 5-minute walk from Upper Penang’s nightlife options. Penang Hill is a 25-minute drive away, while Penang Airport is a 30-minute drive from the guesthouse. For meals, there is a foodcourt which offers a selection of local specialities just a 5-minute walk from the guesthouse. 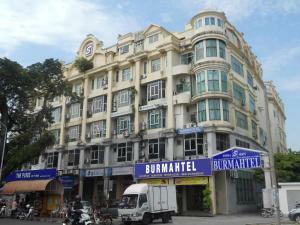 A 2-minute walk from the famous Sleeping Buddha, Burmahtel offers air-conditioned rooms with free Wi-Fi in Georgetown. Guests can make use of the shared kitchen next to the lobby, or store luggage at the 24-hour front desk. On-site parking is free. All guestrooms are fitted with a flat-screen TV with satellite channels. Some rooms include windows. The en suite bathroom has a shower. Burmahtel is a 10-minute walk from Gurney Drive and Gleneagles Hospital, as well as several local eateries. Batu Ferringhi is a 15-minute drive away. Wisma Perkeso (Socso Building) is a 5-minute walk from the property. The property provides laundry services, as well as airport transfers at an extra charge. 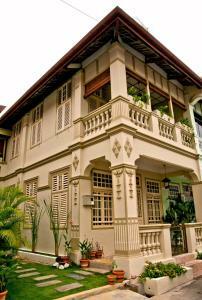 A refurbished shop house, The Cintra Heritage House now offers comfortable accommodation in Georgetown. It features traditional décor and provides an in-house café, free Wi-Fi and a tour desk which helps guests organise excursions to popular sites. The rooms at Cintra Heritage House are furnished with hardwood cabinets, benches and other furnishings. They are fully air conditioned and have a writing desk, an en suite bathroom and an electric kettle. A hair dryer and ironing facilities are available on request. 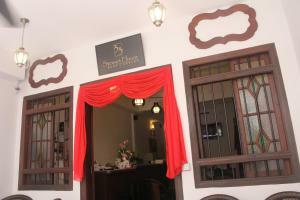 The guesthouse is located a 10-minute walk from Komtar and a 10-minute drive from Penang Jetty. The Snake Temple is a 20-minute drive away, while Batu Ferringhi is a 25-minute drive from the guesthouse. It takes a 30-minute drive from the guesthouse to Penang International Airport. Cintra Cafe serves a selection of Western dishes. The guesthouse provides bicycle and car rental facilities for guests who wish to explore the region on their own. Sunway is located in the heart of Georgetown - a UNESCO World Heritage Site. It is a 10-minute drive from Penang’s famous food area, Gurney Drive and features an outdoor pool overlooking the city. Spacious guestrooms at Sunway Hotel Georgetown Penang offer modern interiors. In addition to a TV with satellite channels, a minibar and a safe are included. Guests will also find a 24-hour fitness centre at the property. Nestled within the old colonial-style shop houses, Sunway Hotel Georgetown Penang is a 5-minute walk from Komtar, home of major shopping centres. It is just 15 km from Penang International Airport. Located in Penang, Palanquinn Heritage Suites offers 4-star boutique accommodation in a pre-war townhouse on Bangkok Lane. This Colonial house offers free Wi-Fi and rooms with a balcony or terrace. Colonial-style décor and dark wood furnishings feature throughout the non-smoking guest rooms. Offering views of the garden or city, each room is fitted with a four-poster bed and flat-screen TV. The hotel provides ticketing and shuttle services, while sightseeing arrangements can be made at the tour desk. Local souvenirs can be purchased at the gift shop. Local dining outlets at Gurney Drive Food Centre are a 15-minute drive from the hotel. Heritage Palanquinn is 1 km from Wat Chaiyamangkalaram and the Reclining Buddha Temple. Penang International Airport is 15 km from the hotel. The Northam All Suite Penang is a 4-star property in Georgetown, just 3 minutes' drive from the New Central Business District. It has spacious suites with free Wi-Fi and a spa bathtub. On-site facilities include an outdoor infinity-edge swimming pool, a fitness centre and pampering spa treatments. The air-conditioned suites all come with a living area, equipped with a sofa and satellite TV. A work desk, wardrobe and tea/coffee making facilities are included. All en suite bathrooms offer a hairdryer and free toiletries. Suites offer panoramic sea or city views. It is located on the famous Millionaire's Row. The Northam All Suite Penang is a 5-minute drive from the Tourism Shopping District and the famous Gurney Drive. The UNESCO Heritage Zone is just a 10-minute drive, while Ferringhi Beach is a 25-minute drive away. Penang International Airport can be reached within a 20-minute drive. Local dishes can be enjoyed at the Coffee House. Taipan Fins Chinese Restaurant serves both local and Chinese cuisines. Guests can print documents at the business centre, request for laundry services or arrange for an airport shuttle. Newspapers and luggage storage services are provided at the 24-hour front desk. Featuring air-conditioned private and dormitory rooms along Kimberley Street in Georgetown, Kimberley House is a 5-minute walk to KOMTAR. The guesthouse provides free Wi-Fi in its common areas and free parking nearby. Khoo Kongsi, a Chinese clan temple and Little India are both a 5-minute drive from Kimberley House. It takes 35 minutes to drive to Penang International Airport. Private rooms also include a fan and desk. Guests have access to shared bathroom and shared toilet facilities. Linen and blankets are provided in all rooms. Ironing facilities and a hairdryer are available on request. A common seating area is where guests can relax on a sofa and watch shows on a flat-screen TV. The guest house also provides luggage storage facilities. 69 Boutique Hotel is a 5-minute walk from Penang Times Square and a 5-minute drive from the UNESCO Heritage Zone. It offers contemporary themed rooms and free Wi-Fi access. The hotel is a 10-minute drive from dining options at Gurney Drive and from Komtar Tower – the tallest building in Penang. Penang Internatioanl Airport is a 25-minute drive away. Rooms and suites are air-conditioned and feature a flat-screen TV with satellite channels, an electric kettle and an en suite bathroom with toiletries. Select rooms come with a bathtub or a spa bath. Guests can head to the 24-hour front desk to get assistance with storing their luggage. A hairdryer or an iron is available on request. Featuring 3 restaurants and an indoor pool, Cititel is located in the heart of Georgetown, famous for its rich history and heritage. The hotel boasts a spa and a gym. Close to many dining and shopping options, Cititel Penang is a 30-minute drive from Batu Feringghi Beach and Bayan Lepas International Airport. Offering Wi-Fi access, rooms feature air conditioning and en suite bathrooms with a bathtub. Coffee/tea making facilities and in-house movies are also provided. Select rooms come with a flat-screen TV and an electronic safe. A range of local, Thai and international specialities can be enjoyed at the hotel’s 24-hour Main Street Café. Open for lunch and dinner, Zhonghua Gourmet and Kirishima Restaurant serve Chinese and Japanese dishes respectively. Guests of Cititel Penang can sing in the karaoke room or buy gifts or sundries at The Mart. The hotel provides a tour desk and free parking. Modern accommodation with designer furniture and free Wi-Fi can be enjoyed at the stylish G Hotel in Penang’s Georgetown. Aside from an outdoor infinity pool, it boasts pampering spa services. G Hotel overlooks Gurney Drive, a popular seafront promenade featuring delicious local street food and Gurney Plaza Shopping Mall. Penang Airport is about 16 km from the hotel. For guests who drive, parking is provided for free. Featuring beautiful views of the coast, the air-conditioned rooms at G Hotel are decorated in soothing neutral colours. Each is equipped with a satellite TV, free minibar and tea/coffee making facilities. Danai Spa features a relaxing menu of body massage treatments, manicures and pedicures. Guests may also exercise at the well-equipped fitness centre or check emails at the business centre. International buffet and local favourites are served all day at G Café, while cocktails can be enjoyed at G Hotel’s 3 bars. Other dining options include Chili’s Restaurant and Miraku Japanese Restaurant. 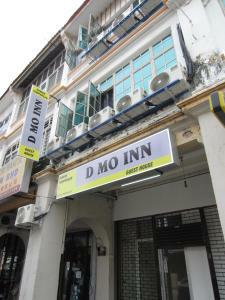 Offering free Wi-Fi access, D Mo Inn is situated in Georgetown – a UNESCO World Heritage Site. It is a 15-minute walk from Prangin Mall, as well as Komtar – the tallest building in Penang. The inn is a 10-minute drive from Gurney Drive, known as Penang’s food paradise. The Batu Ferringhi beach area is a 25-minute drive away, while the Penang International Airport is about a 40-minute drive away. The non-smoking rooms are air-conditioned and are equipped with a TV and an attached bathroom with hot shower facilities. Guests can dine at the restaurant serving local and Western delights located just next to the inn. Boasting individually designed suites, Clove Hall is housed in a beautiful heritage building located on a quiet residential street. It is a 10-minute trishaw ride from Georgetown, a UNESCO World Heritage Site. Clove Hall features six individual suites with wooden floors, beautiful 4-poster beds and daybeds. The house is fitted with colonial and Peranakan-inspired furnishings, black and white tile flooring, and inlaid glass windows. Each suite has a flat-screen TV, a day bed, and a private bathroom with a rain shower. Suites have either a balcony, patio or courtyard. Guests can relax in the hotel’s outdoor pool or sun loungers. The staff can arrange for massages, manicures/pedicures services and cookery classes. Tour bookings are also available. Clove Hall is a 30-minute drive from the Batu Feringghi beaches. Airport transfers can be arranged at a surcharge. Dwell by Palanquinn brings guests back to the pre-war colonial era, from its restored exterior, original 19th-century tiling and retro-esque furnishings. Fitted with free Wi-Fi, this boutique heritage hotel is only 5 minutes' walk from Gurney Drive. Located in the UNESCO World Heritage Site of Penang City, Dwell By Palanquinn sits among the beautiful townhouses of Bangkok Lane. It is a 20-minute drive from Batu Ferringhi and a 30-minute drive from Penang Airport. Retaining classical details of the original property, rooms are enhanced by a flat-screen TV, DVD player and air conditioning. High ceilings and a private verandah add to the feel. Most en suite bathrooms come with a bathtub. 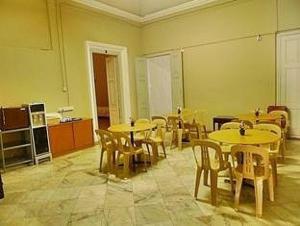 The common area is equipped with a fridge, microwave and dining table. Guests can also rent a bicycle or request for laundry services. Fax and photocopying services are also available. 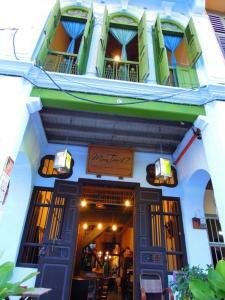 This boutique hotel is housed in 3 rows of 2-storey shophouses originally built in the 1940s. A lovely base for exploring George Town, it features a spa, outdoor pool, and restaurant. Daily housekeeping services are also provided. Hotel Penaga’s rooms feature antique furniture, restored wooden flooring, and Asian art pieces. Each spacious room has a sofa and a flat-screen cable TV. The private bathroom has a spa bath and separate glass-enclosed shower. The stylish library provides reading materials and ample seating, while Entrepôt gift shop sells carefully selected souvenirs from all over Asia. Guests can enjoy as swim in the lap pool, which also has a spa corner. Buffet breakfast is served at The Cinnamon restaurant, which also offers an all-day menu and a selection of wines. It offers both indoor and outdoor seating. Cocktails are available at The Tanglung Bar. Penaga Hotel is a 7-minute drive away from Gurney Drive, a popular spot for local hawker food. Batu Ferringgi Beach is a 20-minute drive away. George Town is a UNESCO World Heritage Site. Situated at the UNESCO World Heritage Site of Georgetown, Noordin Street House is a boutique pet-friendly property which features rooftop and ground floor gardens, a café, swimming pool and complimentary Wi-Fi access. The property is a 3-minute walk from 1st Avenue Mall and a 5-minute walk from KOMTAR. Gurney Plaza is a 15-minute drive away, while Penang International Airport is a 30-minute drive away. Fitted with canopy beds, the heritage-style suites are equipped with a laptop, a flat-screen TV with cable channels, an electric kettle and a minibar. The en suite bathroom comes with shower facilities, a spray bidet, toiletries and a hairdryer. Ironing amenities, a wardrobe and a telephone are included. Noor & Dean's Kafe serves Asian fusion delights at breakfast, lunch, teatime, as well as dinner. Guests can use the business centre, or head to the front desk for assistance with luggage storage, transport rental, laundry and massage services. Travel and ticketing arrangements can also be made. 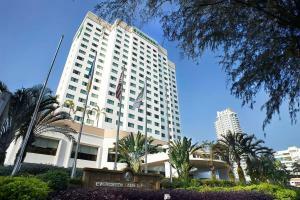 Just a 10-minute walk to Gurney Drive, Goodhope Hotel Kelawei is located in Jalan Kelawai, Penang. It features free parking, a garden and cosy air-conditioned rooms with a TV. Goodhope Hotel Kelawei, Penang is a 10-minute drive from Gurney Plaza, Gurney Night Market Centre, Reclining Buddah and Pulau Tikus Morning Market. Penang International Airport is a 35-minute drive away. Bathed in warm light, rooms come with modern interiors. They are well equipped with a flat-screen TV, an electric kettle and en suite bathroom with hairdryer and free toiletries. Guests can arrange for car rental and airport shuttle services at the tour desk. Safety deposit boxes are available at the 24-hour reception. Situated just steps from the cultural attractions in the UNESCO World Heritage-listed Georgetown, Armenian Street Heritage Hotel features complimentary W-Fi access, a 24-hour security system and private parking. The hotel is steps away from the heritage trails of museums, temples, eateries and the world famous "Little Children on a Bicycle" mural hand-painted by renowned artist Ernest Zacharevic. Penang International Airport is a 20-minute drive away. Cooled with air conditioning and a fan, rooms feature a flat-screen TV with satellite channels, a safety deposit box and an attached bathroom with hot rainshower facilities and a hairdryer. Guests can dine at Kopitan Classic White Coffee, which serves local specialities. Travel arrangements can be made at the tour desk. Staff at the 24-hour reception can assist with luggage storage and car rental services. There is also a mini-market within the hotel premises. 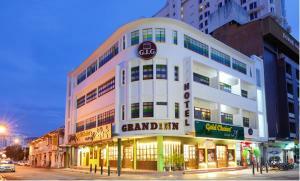 Grand Inn (Penang Road) is located in George Town, surrounded by a number of local and international restaurants. It offers bright rooms with free Wi-Fi access and air-conditioning. Hotel staff can also arrange for sightseeing tours. Rooms here will provide you with a flat-screen TV with satellite channels. Private bathrooms come with a shower. At Grand Inn (Penang Road) you will find a 24-hour front desk and luggage storage. Hairdryers and ironing facilities are available in the reception upon request. It is a 30 minute drive to Penang International Airport. Queensbay Mall Shopping Centre – one of the most popular and largest shopping centres in the city, is 15 minutes drive away. Located just a 5-minute walk from Khoo Kongsi, On Journey Inn offers bicycle rentals, air-conditioned rooms and free Wi-Fi in its common areas. Both Komtar and Little India are a 10-minute walk away. The classic-style rooms feature simple design. Bathrooms are shared or private with a hot shower. Guests can prepare a meal in the shared kitchen on site. A Continental breakfast is served at the dining area. A number of dining options are a short walk away. On Journey Inn is 1 km from Komtar Bus Station and 18 km from Penang International Airport. The nearest bus stop is a 5-minute walk away. Set in the heart of the popular Georgetown, East Indies provides clean and comfortable accommodation with free Wi-Fi access. Rooms exude an old-world charm and are cooled with air conditioning. Featuring hardwood floors and traditional wooden furniture, rooms here come equipped with a work desk and a seating area in most rooms. Bathrooms are fitted with colourful printed tiles. They come with hot-water showers. East Indies is located within a 15-minute walk from Campbell Street (Chinatown). The famous Gurney Drive and Gurney Plaza are 20 minutes away by car while the lively street of Little India is only a 5-minute walk away. Penang International Airport is a 40-minute drive away. This non-smoking accommodation offers laundry services and a ticket service. Parking facilities are available at a surcharge. GLOW Penang is situated just a 10-minute walk from Kompleks Tun Abdul Razak (KOMTAR). It houses an outdoor pool and a fitness centre. Complimentary Wi-Fi access is provided. The property is a 5-minute drive from the UNESCO World Heritage area. Dining options at Gurney Drive are also within a 5-minute drive away, while the Penang Port is a 10-minute drive away. Penang International Airport is a 20-minute drive away. Zest Café serves Thai fusion delights, while the pool/lounge bar offers up a selection of snacks and refreshing beverages. Room service is also provided. The contemporary rooms are air-conditioned and feature a flat-screen TV with satellite channels, an electric kettle and a personal safe. The en suite bathroom comes with rain shower facilities and a hairdryer. Guests can head to the 24-hour front desk for assistance with luggage storage or the use of meeting facilities. Free public parking spaces are also available. Located in Georgetown, a UNESCO World Heritage Site, Hotel Mingood features a restaurant and a rooftop garden with views of the city. The hotel offers affordable accommodation with free Wi-Fi. 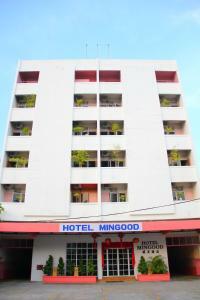 Mingood is a 5-minute walk from the Georgetown city centre and a 20-minute drive from Penang Bridge. The Penang International Airport is a 30-minute drive away. Simply furnished rooms at the hotel offer room service. They are equipped with air conditioning and a private bathroom. A TV with cable channels and a fridge are included. Guests can play a game of billiards or read a book at Mingood Hotel’s library. The hotel offers transport rentals and a tour desk. Parking lots are available for free on a first come first serve basis. Little India Heritage Villa is located in Georgetown, just a 10-minute walk from Komtar and a 15-minute walk from Fort Cornwallis. It provides complimentary Wi-Fi access and free public parking at a nearby location. Simply furnished rooms come with air conditioning and a desk. The shared bathroom, located outside the room, is equipped with shower facilities. Staff operating the 24-hour reception can assist with luggage storage, car rental, laundry and ironing services. Ticketing, currency exchange and shuttle services are also available. 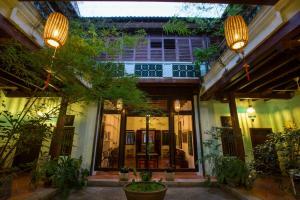 Little India Heritage Villa is 5-minute walk from Khoo Kongsi Temple and a 10-minute drive from Penang Harbour. Gurney Drive is a 15-minute drive away, while Penang International Airport is approximately 15 km away. 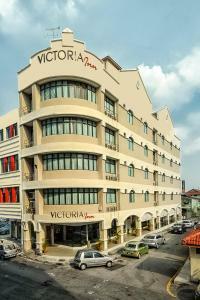 Operating a 24-hour front desk, Victoria Inn Penang features comfortable accommodation situated within a 5-minute drive from Penang Ferry and Bus Terminal. It offers free parking and two complimentary bottles of drinking water. The property is just a 10-minute drive to the historical Fort Cornwallis, and a 15-minute drive to Georgetown, a UNESCO World Heritage Site. Penang International Airport is conveniently a 30-minute drive away. Fitted with wooden flooring, air-conditioned rooms are simply furnished with a desk, wardrobe, a telephone and a flat-screen TV. Rooms come with an en suite bathroom offering shower facility. Wi-Fi access is also available at a surcharge. Serving local favourites and tasty dishes, the in-house Victoria Café offers both indoor and outdoor dining options. Alternatively, a wide range of restaurants and pubs are available at Georgetown, a 15-minute drive away. Heritage Lodge is just a 20-minute minute walk from Chinatown. It features clean and comfortable rooms and free Wi-Fi access throughout its premises. Located a 10-minute walk from the nearest bus terminal, the lodge is also a 20-minute walk from Cheong Fatt Tze Mansion. Penang International Airport is a 45-minute drive away. Simply furnished with basic amenities, rooms are either air-conditioned or fan-cooled. The shared or attached bathroom includes hot/cold shower facilities. Heritage Lodge offers a common dining area for lodgers to enjoy a meal or to simply mingle with other guests. The front desk will be happy to assist with travel arrangements. While the hotel does not house any dining options, New World Park hawker centre offers a variety of local dishes from different cultures. Situated in the UNESCO World Heritage Site of Georgetown, Spice Hotel has a small café serving breakfast and all-day complimentary coffee, tea and tidbits. It also houses a courtyard garden and offers free WiFi access in its lobby. This boutique property is a 2-minute walk from Archeen Street Mosque and a 5-minute walk from Penang Heritage Centre and Armenian Street. Combining heritage and contemporary décor, the air-conditioned rooms are located on the ground and first floors. They feature a flat-screen TV and a personal safe. The en suite bathroom comes with a hairdryer. Ironing facilities and DVD players are available upon request. Guests can relax in the common living area with a good read, or head outdoors in the courtyard garden. Staff can assist with bicycle rental, airport shuttle and fax/photocopying services. Mango Tree Place - Hideaway is located in George Town just a 15-minute walk from Georgetown Heritage. The bed and breakfast provides boutique accommodation, an airport shuttle service and free Wi-Fi access. It also offers a daily maid service, luggage storage and public parking. Rooms here will provide you with a flat-screen satellite TV, air conditioning and an electric kettle. Featuring a shower, the private bathrooms also come with a hairdryer. Extras include a desk, a safety deposit box and ironing facilities. Other facilities offered at the bed and breakfast is a cosy library and a comfortable lounge. For meals, guests can sample local cuisine at the many cafe and restaurants located within walking distance of the property. The bed and breakfast is conveniently located about 2.3 km from Gurney Drive, 1.3 km from Komtar and 2.1 km from Gurney Plaza. Penang International Airport is 15 km away, while Batu Feringghi is a 40-minute drive away. It takes 15 minutes by car from the property to Penang Jetty. Situated in the historic Georgetown, Thirty Three Stewart Houze is 1 km from Komtar and a 15-minute drive from Gurney Drive. It houses a bar and offers free WiFi access. The property is a 30-minute drive from Batu Ferringhi and a 45-minute drive from Penang International Airport. Rooms offer air conditioning. The private or shared bathrooms come with shower facilities, a spray bidet and toiletries. Guests can play a game of darts, or make travel arrangements at the tour desk. Guests can also get assistance with luggage storage, laundry and transport rental services. Barbecue facilities are also available. Housed in a Chinese courtyard-style mansion, The Blue Mansion by Samadhi Retreats offers boutique accommodation tastefully furnished with antique fittings. Featuring a library and free parking, it is located within Georgetown’s UNESCO district. Individually designed rooms are fitted with classic wood furnishings and air conditioning. They have a safe, hairdryer and tea/coffee maker. Leisurely afternoons can be spent at the property’s bar or garden. Staff at The Blue Mansion by Samadhi Retreats can assist with concierge and laundry services. Situated beside a food centre selling local fare, The Blue Mansion by Samadhi Retreats is just 1 km from the Komtar Bus Terminal. It is a 45-minute drive from Penang International Airport. 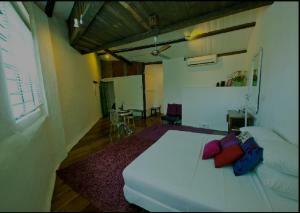 Inn Residence 18 features modern yet cosy rooms with free WiFi in the UNESCO World Heritage Site of George Town. A 24-hour front desk is available at the inn, which also offers bicycles for rent. 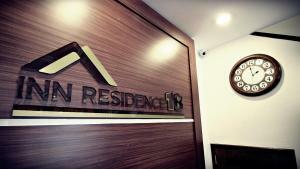 Inn Residence 18 is 300 metres from Prangin Mall, 400 metres from Komtar and 900 metres from Pinang Peranakan Mansion. Batu Ferringhi and Queens Bay Mall are both a 30-minute drive away. It takes 45 minutes to drive to Penang International Airport. All rooms are air-conditioned and include a flat-screen TV, seating area and desk. Private bathroom comes with a shower and free toiletries. Other facilities include a shared lounge. Nestled in Weld Quay area, The Royale Bintang Penang features an outdoor pool, fitness centre and 24-hour front desk. It offers elegant and contemporary rooms, while free WiFi access is available in its public areas. The property is just 700 metres from Penang Jetty and within 14 km from Penang International Airport. Prangin Mall and Pinang Peranakan Mansion are about 800 metres away. Offering city views, air-conditioned rooms are furnished with carpet flooring, a wardrobe, in-room safe, sofa and a flat-screen TV with cable/satellite channels. Minibar and electric kettle are also included. The en suite bathroom comes with shower facility, hairdryer and free toiletries. At The Royale Bintang Penang, guests can indulge in a pampering massage at the spa or rent a bicycle/car to explore the town. It features a business centre, while meeting/banquet facilities and airport transfers can be arranged at a surcharge. The in-house restaurant serves a delectable spread of local and Western cuisine. Special diet meals can be prepared upon request, while room service options are available. Situated in George Town, Hamoni Home is just a 5-minute drive from Gurney Plaza and within 1.4 km of Komtar and Prangin Mall. It offers free WiFi access and public parking. The property is a 20-minute drive from Batu Ferringhi and a 30-minute drive from the Penang International Airport. 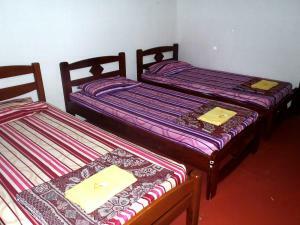 Each room and dormitory room offers air conditioning and a clothes rack. Bathroom and toilet facilities are shared, and come with shower facilities. Regular rooms are also equipped with a lamp, desk, sitting area and a fan. Guests can watch TV in the shared lounge, or get assistance with storing their luggage. A 15-minute walk from Komtar Shopping Centre and the local Hawker Centre, SO Hotel in Georgetown offers dormitory and private rooms with free Wi-Fi. Offering free parking, it also has barbecue facilities and a 24-hour front desk. The air-conditioned rooms come with either a shared or private bathroom, equipped with shower facilities. Selected rooms have a flat-screen TV. SO Hotel is a 15-minute drive from Gurney Shopping Centre. It is a 30-minute drive from Bayan Lepas Airport and Batu Ferringhi Beach. Guests can rent cars to explore Georgetown at leisure. The hotel also provides a tour desk and drink vending machines. Located in Penang's UNESCO Cultural Heritage Site, Georgetown, Hotel Sentral offers modern, air-conditioned rooms with free Wi-Fi and free private parking just a 10-minute walk from Komtar and 1st Avenue Shopping Mall. 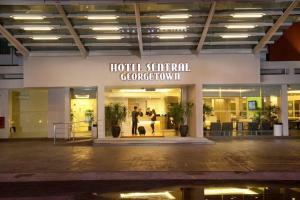 Hotel Sentral Georgetown is a 15-minute drive from the popular seafront promenade, Gurney Drive famous for its street food and mall. A 30-minute drive leads to Bukit Bendera and Kek Lok Si Temple. Penang International Airport is a 20-minute drive away. Rooms are brightly painted and feature wooden flooring. They come equipped with a flat-screen satellite TV, tea/coffee making facilities and a personal fridge. The private bathroom comes with a hot shower and hairdryer. Guest services include a 24-hour front desk, luggage storage and laundry service. Room service is available. An airport transfer service can be arranged at a cost. The hotel's restaurant serves local and western dishes. Strategically located, Ren I Tang Heritage Inn offers charming and comfortable accommodation with free WiFi access throughout the property. Featuring rustic décor, it provides a restaurant and small library. Tastefully-furnished, air-conditioned rooms come with parquet flooring, a satellite TV, electric kettle and freshly-laundered bedding. The attached bathroom includes shower and bidet facility. At Ren I Tang Heritage Inn, guests may chill out at the garden terrace or purchase a souvenir from the gift shop. Luggage storage service is also available. The property is just 100 metres from Pinang Peranakan Mansion and 500 metres from Fort Cornwallis. Penang Jetty is about 600 metres away, while Penang International Airport is accessible with a 15 km drive. Set in the UNESCO World Heritage Site of George Town, The Campbell Times provides charming and stylish guestrooms in Penang. It offers free WiFi access throughout the property. Conveniently situated along Gurney Drive, Casa Holiday & Residence offers modern and homely accommodation with free WiFi access throughout the property. It features a rooftop outdoor pool, fitness centre and sauna facility. Offering city/sea views, air-conditioned rooms come with parquet flooring, a wardrobe, in-room safe, minibar and a flat-screen TV with satellite channels. Guests have access to either a private or shared bathroom with free toilatries. At Casa Holiday & Residence, guests may rent a bicycle/car to explore the vicinity, or relax at the sun terrace by the pool. Barbecue facilities and newspapers are available upon request, while free parking is provided on site. The property is just 700 metres from the famous Gurney Plaza and 2.8 km from Komtar. Penang International Airport is approximately 16 km away. ATM machine, convenience store and local shops are just walking distances away. 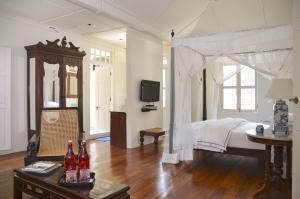 Armenian Suite features Balinese-inspired, cosy rooms with free WiFi in the UNESCO World Heritage Site of George Town. Bicycles are available for rent to explore the surrounding areas. The hotel is 500 metres from Pinang Peranakan Mansion and 700 metres from Penang Jetty and Prangin Mall. Penang International Airport is 15 km away. Each air-conditioned room has a flat-screen satellite/cable TV and an electric kettle. Private bathroom includes a shower, hairdryer and free toiletries. A snack bar is available for guests. Strategically located in Georgetown, 28 Bahari offers basic and comfortable accommodation with free WiFi access throughout the property. It features a private terrace with a small garden. Simply furnished, air-conditioned rooms come with tiled flooring, a clothes rack, towels and seating area. Guests have access to a shared bathroom with shower facility, slippers and hairdryer. 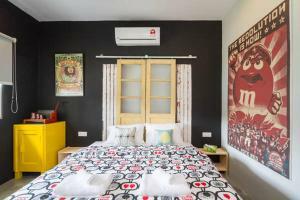 At 28 Bahari, the friendly host can assist guests with luggage storage, laundry and ticketing services. A common lounge area and personal lockers are also available. The property is within 700 metres from Komtar and Prangin Mall. Pinang Peranakan Mansion is about 1 km away, while Penang International Airport is accessible with a 15 km drive. Homeaway.thelight offers accommodation in George Town, 6 km from Komtar and 6 km from Prangin Mall. The property features views of the sea and is 6 km from Penang Jetty. Free private parking is available on site. There is a seating area, a dining area and a kitchen equipped with a microwave. A flat-screen TV is offered. Homeaway.thelight features free WiFi throughout the property. You can play tennis, table tennis and mini-golf at the property, and free use of bicycles is available. 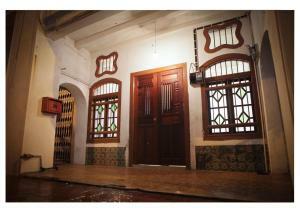 Pinang Peranakan Mansion is 7 km from homeaway.thelight, while Fort Cornwallis is 7 km from the property. The nearest airport is Penang International Airport, 9 km from homeaway.thelight. Featuring a revolving restaurant with 360-degree views of Penang Island, Bayview offers elegant rooms with flat-screen TVs in Georgetown’s commercial centre. It has an outdoor pool, spa pool and fitness facilities. 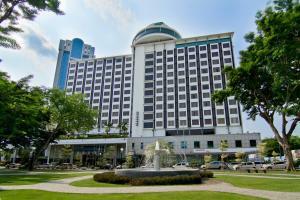 Shopping centres and the Ferry Terminal are within 1 km from Bayview Hotel Georgetown Penang. It is a 30-minute drive from the golden sands of Batu Ferringhi and Penang International Airport. Boasting city or sea views from over-sized windows, 4-star rooms at Bayview Georgetown come in calming neutral shades. They are well-equipped with a safe, ironing facilities and a bathtub. For leisure, explore the UNESCO heritage site of Georgetown with help from the tour desk. Hotel Bayview also has a business centre, beauty salon and free private parking. Guests choosing to dine in can do so at Kopi Tiam, which offers local specialities, or at Waka Japanese restaurant. After meals, head to Base Entertainment Club, which features live performances. Betel Nut Lodge is a refurbished 19th-century heritage building located in the UNESCO World heritage site of George Town and is 400 metres from Prangin Mall. It offers complimentary WiFi access. The property is 200 metres from Komtar, 1st Avenue Complex and the local Bus Terminal. Penang International Airport is 15 km away. Rooms offer air conditioning, a fan, flat-screen cable TV, laptop safe and telephone. The en suite bathroom offers shower facilities. Room service is provided. Guests can get assistance with laundry, ironing and luggage storage services. Shuttle and bicycle rental services are also provided. Located in historical George Town only 200 metres from Fort Cornwallis, Merlin Hotel Penang features clean and comfortable guestrooms that are cooled with air conditioning. Free WiFi access is available. 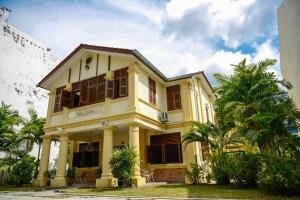 The accommodation is 200 metres from Pinang Peranakan Mansion and 800 metres from Penang Jetty. Penang International Airport is 15 km from the hotel. Fitted with tile flooring, all the rooms come with a flat-screen TV and windows overlooking the city. They also have an attached bathroom equipped with hot/cold shower facilities. Merlin Hotel Penang operates a 24-hour front desk. Free parking facilities are available for those who drive and laundry/ironing services are offered. 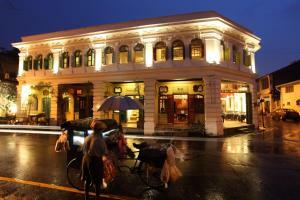 Situated in the UNESCO World Heritage-listed Georgetown, Heritage Sixteen is within a 20-minute walk of Prangin Mall. Offering complimentary Wi-Fi access, it also has an art gallery with a souvenir shop which features artworks such as batik paintings. The property is about a 12-minute drive from Fort Cornwallis and a 15-minute drive from Komtar – Penang’s tallest building. Penang International Airport is about a 40-minute drive away. The non-smoking rooms are air-conditioned, and feature either shared or private bathrooms. Hair drying and ironing facilities are available on request. Heritage Sixteen Café serves local Penang delights and other Asian specialities, accompanied with an array of refreshing drinks. Room service is also provided. Guests can play in the games room, or head to the front desk for assistance with luggage storage and laundry services. Centrally located in Georgetown, Dou Houz Guest House offers stylish and comfortable accommodation with free WiFi access in its public areas. It operates a 24-hour front desk and provides complimentary rental of bicycle. 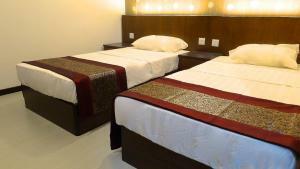 Tastefully furnished, rooms come with air conditioning, a fan, a clothes rack and a flat-screen TV with local channels. Rooms include a private bathroom with shower facility, towels and free toiletries. 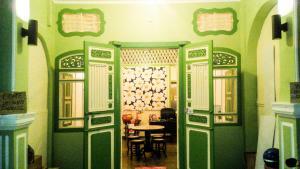 At Dou Houz Guest House, friendly staff is fluently-conversed in Malay, Chinese and English. Express check-in/check-out and laundry services are available. The in-house restaurant serves a tasty selection of local and Western dishes. Snacks and a variety of drinks are also offered. 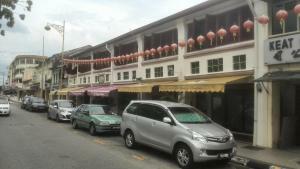 Dou Houz Guest House is just 300 metres from Komtar and Prangin Mall. Pinang Peranakan Mansion is 1.5 km away, while Penang International Airport is accessible with a 14 km drive. Located in historical George Town only 1 km away from Komtar, Ink Hotel provides guests with well-appointed guestrooms featuring contemporary furnishings and air conditioning. Free WiFi access is available. 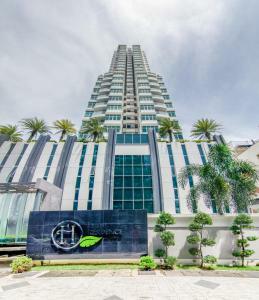 This modern building is only 1.1 km from Prangin Mall and 2.2 km from Pinang Peranakan Museum. Penang International Airport is conveniently placed 14 km from the hotel. The famous Batu Ferringhi Beach is 30 minutes away by car. Stylish rooms come fitted with a flat-screen TV and coffee/tea making facilities. Modern en suite bathrooms feature a shower, toilet and free toiletries. A hairdryer is available upon request. Staff at Ink Hotel’s 24-hour front desk can assist you with luggage storage space and free parking facilities. Housekeeping services are provided daily. Set in a pre-war heritage building, Malabar Inn Penang is 100 metres from the morning markets along Campbell Street. Decorated with hand-painted lamp shades and beautiful wallpaper, it offers complimentary WiFi and parking. Located within a 15-minute walk of the property are Armenian Street, Little India and several local landmarks including Khoo Kongsi, Peranakan Museum and Cheong Fatt Tze Mansion. This family-run inn is a 20-minute drive from Snake Temple. Batu Ferringhi Beach and Penang International Airport are both a 30-minute drive away. The non-smoking rooms are air-conditioned and fitted with wooden flooring. Select rooms have an en suite bathroom with hot shower facilities and a toilet. Guests can head to the balcony upstairs, where private barbecue events can be catered. The reception offers assistance with luggage storage, laundry and shuttle services. Travel and ticketing arrangements can also be made. 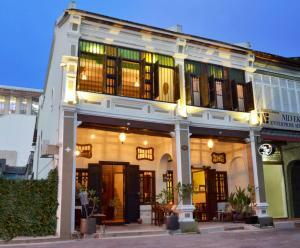 1881 Chong Tian Hotel is a stylish boutique hotel located in Georgetown. Housed in a 130-year-old building, this hotel features 19th century styles and offers free Wi-Fi throughout the building. 1881 Chong Tian Hotel is a 10-minute walk from Campbell House and 15 minutes’ on foot from Prangin Mall. Khoo Kongsi Temple is a 20-minute drive away while Penang International Airport is a 30-minute ride away. Each stylish room comes with air conditioning. A flat-screen TV and ironing facilities are provided. Suites come with a dining area and a bathroom with a spa bathtub. Guests can benefit from a 24-hour front desk. The hotel also offers a meeting hall. Free parking is provided. A selection of Western dishes and Chinese cuisine is served in Chong Tian Restaurant. Located in the UNESCO World Heritage Site of George Town, Homie Delights GuestHouse offers air-conditioned rooms with free Wi-Fi. Guests enjoy free return airport transfers from Penang International Airport. 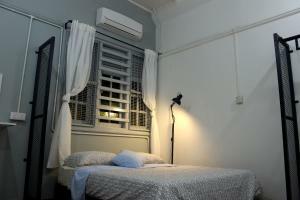 Homie Delights GuestHouse is 700 metres from Komtar, 2.9 km from Gurney Plaza and 3.2 km from Gurney Drive. Penang International Airport is 14 km away. Guests have access to a shared bathroom and shared toilet. Free toiletries and a hairdryer are available. Select rooms have a desk. At Homie Delights GuestHouse you will find a terrace and a snack bar. Other facilities offered include a shared lounge and luggage. The property offers free self-service laundry, ironing and parking. A daily light breakfast and tea break is served to guests. 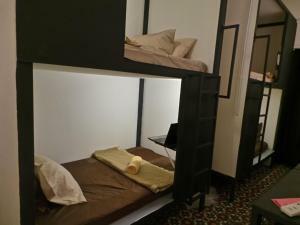 Just Inn offers basic dormitory and private rooms with free WiFi. Located within the UNESCO World Heritage Zone of Georgetown, the inn is within a 5-minute walk to various wall murals and local street food. A 5-minute walk to Khoo Kong Si Temple and KOMTAR, Just Inn is 400 metres from Prangin Mall, 500 metres from Komtar and 800 metres from Pinang Peranakan Mansion. Penang International Airport is 15 km away. Select rooms are air-conditioned, while the rest are fan-cooled. All rooms offer shared bathroom and shared toilet access, with hairdryers available on request. A hold and cold water dispenser is available in a common area. Luggage storage facilities are provided and guests can rent a bicycle to explore the surrounding areas. A Hotel Penang has modern, air-conditioned rooms with free WiFi . Featuring its own restaurant, the hotel has a convenience store, 24-hour front desk and provides free parking. A 5-minute walk to Universiti Sains Malaysia, A Hotel Penang is 15-minute drive to the UNESCO World Heritage Site of George Town. It takes 20 minutes to drive to Penang International Airport while Gurney Drive is a 30-minute drive away. Each room has a flat-screen TV, electric kettle and tea/coffee maker. Private bathroom includes a bath or shower, hairdryer and free toiletries. Other facilities include a shared lounge, a ticket service and a tour desk. Welcoming guests with an indoor swimming pool and free WiFi access, Just Duvet Guesthouse is situated in Georgetown, a UNESCO World Heritage Site. Rooms are simply furnished and fully air-conditioned. 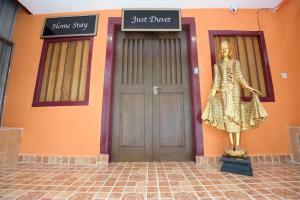 Just Duvet Guesthouse is conveniently placed, 15 km away from Penang International Airport. Pinang Peranakan Mansion is 400 metres away while Fort Cornwallis is 700 metres away. The famous Gurney Drive and Gurney Plaza are both within 4 km from the property. All rooms come furnished with clean linen sheets, cool tile flooring and unique décor. Bathroom facilities are either en suite or shared. It includes shower facilities and free toiletries. Hot meals and snacks can be prepared at the shared kitchen area. Guests can also utilize the PlayStation available at the common lounge. For convenience, airport transfers and shuttle services are provided at an additional charge. Just Duvet Guesthouse houses a restaurant situated about a 5-minute stroll from the property. Both local and international meals will be served. Conveniently located in Georgetown, Vintage House offers homely and comfortable accommodation with free WiFi access in the entire property. It features a small garden, terrace and common lounge area. Simply furnished, air-conditioned rooms come with wooden flooring, a desk, wardrobe and clothes rack. Guests have access to either a shared or private bathroom with shower facility and free toiletries. At Vintage House, guests may rent a bicycle or car to self-explore the area and visit nearby attractions. Friendly staff is fluently-conversed in Malay, Chinese and English. The property is just 600 metres from Prangin Mall, while Komtar and Penang Jetty are within 800 metres away. Penang International Airport is accessible with a 14 km drive. Airport transfers can be arranged at a surcharge. Located in Georgetown, H Residence offers modern and comfortable accommodation with free WiFi access. Featuring free parking space on site, it is a convenient 15-minute walk from Gurney Plaza and Gurney Paragon. Decorated with unique wallpapers, rooms come with air conditioning, a clothes rack, a flat-screen TV and parquet flooring. Each room includes an attached bathroom with bathtub or shower facility. At H Residence, common amenities such as kitchen and living area are available. Guests may also enjoy swimming at the outdoor pool or utilise the fitness facilities on site. The property is approximately 20 minutes' drive from Penang International Airport. Combining modern design with antique furnishings, Muntri Mews provides stylish boutique accommodation in Georgetown, Penang. It offers local cooking classes and guided walking tours. Wi-Fi is free throughout the hotel. Georgetown is a UNESCO World Heritage Site and Muntri Mews is within walking distance of the city’s historic landmarks. The beach area of Batu Feringghi is a 20-minute drive away, while Penang International Airport is a 45-minute drive away. 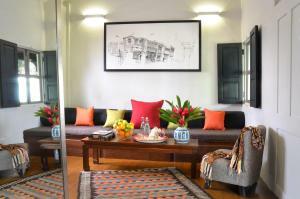 Decorated with artwork by local artists, suites at Muntri Mews open towards the hotel’s tropical gardens. Modern amenities include a 32-inch flat-screen TV. Each suite has a spacious living area with a day bed, and some have a veranda. After a day of sightseeing, guests can arrange for a relaxing in-room massage. The hotel’s gardens are a great spot to catch up with friends or enjoy quiet reading. Muntri Mews also has a gift shop selling antique pieces, and a small business centre. The Mews Café serves Asian and international specialities, prepared with fresh local ingredients. Diners can choose air-conditioned or outdoor setting. Muntri Mews also provides dinner guides who will bring guests to food outlets that are popular among the locals. Strategically located in Georgetown, Casa Jade Signature Villa & Residence offers peaceful and elegant accommodation with free WiFi access throughout the property. 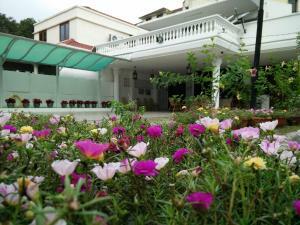 It features lush green gardens and provides complimentary parking on site. Fitted with soundproofed walls, air-conditioned rooms include a mosquito net, in-room safe, a clothes rack and a flat-screen TV with cable channels. Guests have access to either a shared or private bathroom with shower facility. At Casa Jade Signature Villa & Residence, guests may rent a bicycle/car to explore the area and visit nearby attractions. Laundry/ironing services and grocery deliveries are available, while airport transfers and shuttle services can be arranged at a charge. The property is just 1.2 km from Gurney Plaza and 1.4 km from Gurney Drive. Penang International Airport is within 16 km away. Rope Walk Guest House is a 3-minute walk from famous local Penang delights and a 5-minute walk from the inner city of George Town, which is a UNESCO World Heritage Site. It houses a snack bar and offers complimentary WiFi access. Each heritage-style room or dormitory room features air conditioning. The shared bathroom facilities come with toiletries and a hairdryer. Guests have access to the common living and dining areas and kitchen. Staff at the 24-hour reception can assist with luggage storage, use of lockers and other services such as fax/photocopying. The guesthouse is a 10-minute walk from the main bus station. Prangin Mall is a 5-minute drive away, while Komtar is a 15-minute drive away. Penang International Airport is a 30-minute drive away. Centrally located in Georgetown, 5imply 9ice Heritage offers elegant and charming accommodation with free WiFi access in the entire property. It is conveniently 500 metres from Komtar and Prangin Mall. Simply furnished, rooms come with air conditioning, a desk, clothes rack, a flat-screen TV and electric kettle. Guests have access to either a shared or private bathroom with shower facility. At 5imply 9ice Heritage, the friendly staff is fluently-conversed in Malay, Chinese and English. Parking space is available nearby at a surcharge. Pinang Peranakan Mansion is within 900 metres away. The property is approximately 14 km from Penang International Airport. Situated in Georgetown, Silver Shine Guesthouse is 200 metres from the Pinang Peranakan Mansion and 500 metres from Fort Cornwallis. It offers complimentary WiFi access throughout its premises. Rooms are equipped with both air conditioning and a fan. Bathrooms are either private or shared, and come with shower facilities. The guest house is 800 metres from Penang Jetty. Penang International Airport is 15 km away. Strategically located in Georgetown, Vstay Two Guesthouse (Europe Style) offers basic and comfortable accommodation with free WiFi access throughout the property. It features a common lounge area and provides light breakfast of toast and coffee. Simply furnished, rooms come with air conditioning, towels, slippers and a flat-screen TV with satellite channels. Guests have access to either a shared or private bathroom with shower facility. At Vstay Two Guesthouse (Europe Style), the staff can converse in Malay, Chinese and English. Vending machines offering snacks and drinks are available, while airport transfers can be arranged at a surcharge. The property is within 2 km from Komtar and Prangin Mall. Penang Jetty is 2.5 km away, while Penang International Airport is accessible with a 12 km drive. Located in Georgetown, New TownHouse offers homely and comfortable accommodation with free WiFi access in its public areas. It provides bicycle rental and complimentary parking space on site. Simply furnished, rooms come with tiled flooring, a fan, clothes rack and air conditioning. Guests have access to either a shared or private bathroom with shower facility and free toiletries. The host at New TownHouse can converse in Chinese and English. Laundry service is available, while airport transfers and shuttle services can be arranged at extra charges. Komtar and Prangin Mall are within 2.5 km away. Penang International Airport is accessible with a 12 km drive. Situated in George Town, Penang – a UNESCO World Heritage Site, Muntri Grove Hotel offers an outdoor swimming pool, free WiFi access and tastefully furnished guestrooms. 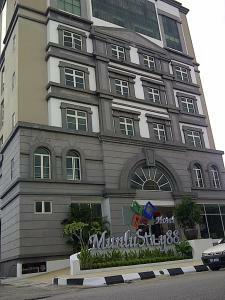 Hotel Muntri Grove is within 800 metres from Komtar, Pinang Peranakan Mansion and Prangin Mall. Penang International Airport is conveniently placed 15 km away. Airport transfers can be arranged at a surcharge. Rooms are charming, featuring white and brown hues. Amenities include coffee/tea making facilities, a seating area and a TV. The private bathrooms come with free toiletries and a hairdryer. A 24-hour front desk will be happy to assist you with luggage storage. Guests can take a stroll along the peaceful garden or enjoy a cup of tea at the outdoor terrace. For full relaxation, massage services are also available upon request. Situated in Georgetown, Le'Mon Stay offers stylish and homely accommodation with free parking space on site. It is approximately 1.4 km from Komtar building and Prangin Mall. Elegantly furnished, air-conditioned home features a dining area and living room with sofa. Amenities include minibar, electric kettle and hairdryer. The private bathroom comes with shower facility and free toiletries. At Le'Mon Stay, guests can find a mini-mart and local shops located nearby. This property is 15 km from Penang International Airport. Conveniently situated in Georgetown, Sweet Cili offers elegant and charming accommodation with free WiFi access in the entire property. It operates a 24-hour front desk and provides a common lounge area. Fitted with wooden flooring, rooms include air conditioning, a wardrobe, in-room safe and a flat-screen TV with satellite channels. The attached bathroom comes with shower facility, hairdryer, a spray bidet and free toiletries. At Sweet Cili, guests may rent a bicycle/car to explore the vicinity, while airport shuttles can be arranged upon request. The friendly staff is fluently-conversed in Malay, Chinese, Filipino and English. 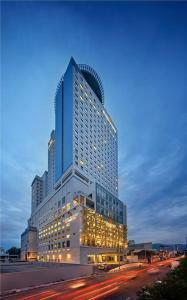 The hotel is 600 metres from Prangin Mall and 700 metres from the iconic Komtar building. Penang Jetty is 800 metres from the property, while Penang International Airport is accessible with a 14 km drive. Centrally located in Georgetown, Decoupage Homestay offers comfortable and charming accommodation with free WiFi access throughout the property. It operates a 24-hour front desk and features a common lounge area. Loctated between Armenian Street and Ah Quee Street, Decoupage Homestay is a 2-minute walk to Leong San Tong Khoo Kongsi Temple of Penang. 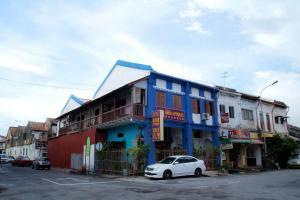 It is 500 metres from Pinang Peranakan Mansion and 700 metres from Penang Jetty. Penang International Airport is approximately 15 km away. 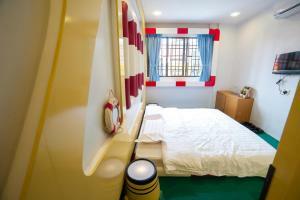 Featuring colourful decor, rooms are simply fitted with air conditioning, a clothes rack and freshly-laundered bedding. Guests have access to a shared toilet and shared bathroom with shower facility. 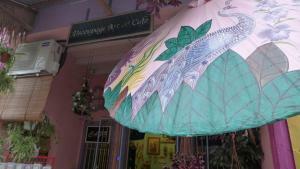 At Decoupage Homestay, guests may rent a bicycle to explore the vicinity. Friendly staff can assist with guests' requests throughout the day. Hostel Silence Sea Library is tucked away in George Town, a UNESCO World Heritage Site. It offers both private and dormitory rooms. Free WiFi access is available in this property. This affordable guesthouse is about 400 metres from Penang Jetty and approximately 700 metres from Pinang Peranakan Mansion. Fort Cornwallis is only 1 km away while Penang International Airport is 15 km from the hostel. 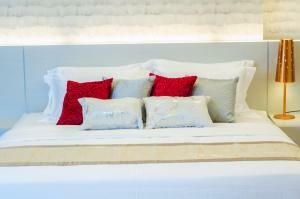 Rooms are cooled with air conditioning and furnished with clean linen sheets. Bathroom facilities are either en suite or shared and equipped with hot/cold shower facilities. Guests can rent a bicycle to explore the area or relax and socialize with other guests at the shared lounge. Hostel Silence Sea Library also offers a snack bar, airport shuttle services and traditional massages. Strategically located in Georgetown, Boutel Dato Koyah offers simple and comfy accommodation within 600 metres from Prangin Mall and the iconic Komtar building. Free WiFi access is available in its public areas. Fitted with wooden flooring, rooms include air conditioning, a fan, clothes rack and seating area. The private bathroom comes with towels and shower facility. This holiday home is 15 km from Penang International Airport. Situated in Georgetown, Suphan Gurney Homestay offers simple and comfy accommodation with free WiFi access throughout the property. It has a common lounge area and provides complimentary parking space on site. Fitted with tiled/parquet flooring, cosy rooms come with air conditioning, a fan, wardrobe and clothes rack. Guests have access to either a shared or private bathroom with shower facility. At Suphan Gurney Homestay, the friendly host is fluently-conversed in Malay, Chinese and English. Airport transfers can be arranged upon request at a surcharge. The property is just 300 metres from Gurney Plaza and 500 metres from Gurney Drive. Penang International Airport is within 16 km away. Strategically located in Georgetown, Hotel Malaysia offers simple and comfy accommodation with free WiFi access throughout the property. It operates a 24-hour front desk and provides complimentary parking on site. The hotel is within 900 metres from Prangin Mall, Pinang Peranakan Museum and the iconic Komtar building. Penang International Airport is 15 km away. Fitted with freshly-laundered bedding, air-conditioned rooms include a desk, wardrobe, a minibar and a flat-screen TV with satellite channels. The en suite bathroom comes with either a bathtub or shower. At Hotel Malaysia, staff can assist guests with currency exchange, luggage storage and laundry services. A mini-mart and barber shop can also be found on site. Housing a restaurant, guests can sample a tasty selection of local dishes. Room service option is available. Havara Place offers cosy rooms with free WiFi and free private parking in George Town. Chargeable airport shuttle services are available and guests have access to a shared lounge. Havara Place is 400 metres from Gurney Plaza and 700 metres from Gurney Drive. This property is 16 km from Penang International Airport. Each air-conditioned room features a flat-screen cable TV and clothes rack. Private bathroom comes with a shower and hairdryer. Towels, slippers and linen are provided. Straits Collection in Penang offers accommodation inspired by traditional Chinese shophouses. Rooms are spread out along Armenian Street, next to several retail shops and restaurants. Rooms are decorated in the traditional Chinese shophouse style but offer modern amenities. Each room is equipped with a cable TV, fridge and tea/coffee maker. The hotel provides housekeeping and butler services for all guests. Free Wi-Fi is available in public areas. Straits Collection is a 40-minute drive from Penang International Airport. Strategically located in Georgetown, KF Guesthouse offers simple and comfy accommodation with free WiFi access in its public areas. It operates a 24-hour front desk and provides complimentary parking on site. 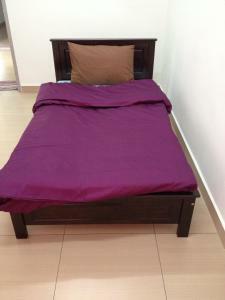 This non-smoking property is just 800 metres from Gurney Plaza and 1.1 km from Gurney Drive. Komtar is accessible with a 2.6 km drive, while Penang International Airport is 15 km away. 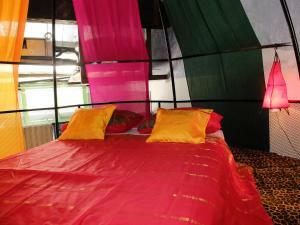 Air-conditioned rooms are fitted with a fan, clothes rack, a wardrobe and a TV with local channels. Rooms come with either a shared or private bathroom with shower facility. Free toiletries are provided. At KF Guesthouse, friendly staff is fluently-conversed in Malay, Chinese and English. Guests may rent a bicycle or car to explore the area and visit nearby attractions. Located a 20-minute drive from Penang International Airport, The Boutique Residence Hotel offers an indoor pool and fitness centre. Free Wi-Fi is provided throughout the building. The Boutique Residence Hotel is within a 5-minute walk from Goddess of Mercy Temple and Khoo Kongsi Clan House. 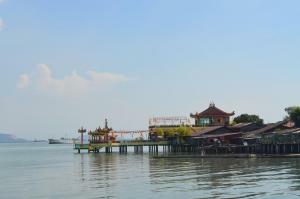 Georgetown is a 5-minute drive away while Penang Ferry Terminal is a 10-minute ride from the residence. Soundproofed suites come with a dining room and 2 bathrooms. Each offers a living area fitted with a DVD player, TV and video player. A laptop safe box and ironing facilities are provided. Last minute gift shopping can be done at Treasures Gift Shop. A selection of Alpine cuisine can be enjoyed at Bauernstube Cafe. Strategically located in Georgetown, G Hotel Kelawai offers modern and luxurious accommodation with free WiFi access in the guestrooms. It features an outdoor pool, fitness centre and meeting/banquet facilities. 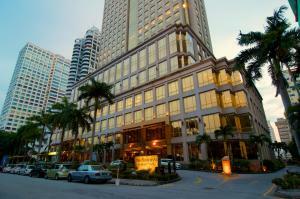 The hotel is just 200 metres from Gurney Plaza and 500 metres from Gurney Drive. Komtar is 3.2 km away, while Penang International Airport is accessible within a 16 km drive. Offering city views, air-conditioned rooms are elegantly-furnished with carpet flooring, a wardrobe, in-room safe, a flat-screen TV and seating area. A coffee machine, minibar and iPod dock are also included. En suite bathroom has bathtub or shower, bathrobes, bidet and free toiletries. At G Hotel Kelawai, guests can approach the 24-hour front desk for assistance with luggage storage, laundry services and tour arrangements. A business centre is available, while airport transfers and shuttle services can be provided at a surchage. The property houses a restaurant serving an appetising spread of local and Asian cuisine. After-meal drinks are offered at the bar. Boasting 3 dining options and an outdoor pool Evergreen Laurel is located along Penang’s famous Gurney Drive. Just 4 km from central Georgetown, it houses a spa and a gym. Evergreen Laurel Hotel Penang is a 30-minute drive from Penang International Airport and 9 km from Penang Bridge and Batu Ferringhi Beach. The air-conditioned rooms at Evergreen Laurel Penang are equipped with a flat-screen TV with cable channels and a minibar. En suite marble bathrooms come with bathtub and shower facilities. Guests can go for a massage or take a dip in Evergreen’s spa pool. Those who prefer the outdoors can play a game of tennis. Alternatively, travel arrangements can be made at the tour desk. Café Laurel serves Chinese specialties, as well as international dishes. Drinks and live music entertainment are available at the Lobby Lounge and Poolside Terrace. 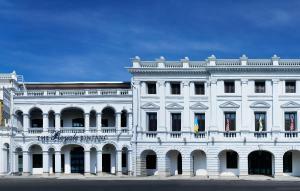 The Georgetown Hotel is conveniently located in Penang’s commercial business centre, 1.4 km from the Penang State Museum. It provides air-conditioned rooms with flat-screen satellite TVs and free Wi-Fi. The rooms at the hotel feature a seating area and an en suite bathroom. A hairdryer, a work desk and tea/coffee making facilities are provided for guests’ convenience. Guests can request for room service and laundry services. 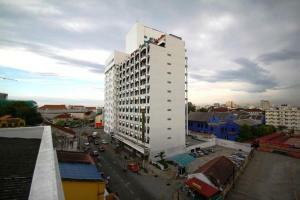 Hotel Georgetown is situated 16 km from Penang International Airport. Nearby tourist attractions include Chew Thean Yeang, located about 0.5 km from the hotel and Cheong Fatt Tze Mansion, located 1 km away. The Penang Islamic Museum is about 1.3 km from the hotel. There is a tour desk which helps guests organise excursions to the many tourist attractions around the hotel. 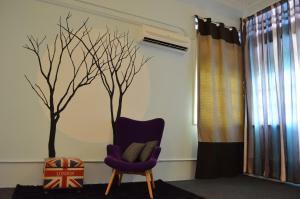 Located on Armenian Street in Georgetown, Armenian House offers cosy air-conditioned rooms with free Wi-Fi in a restored shop house. A 3-minute walk to Khoo Kongsi, the property provides free parking nearby. Fort Cornwallis is a 10-minute walk from Armenian House. It takes 15 minutes to walk to the Weld Quay Clan Jetties. Penang International Airport is approximately a 40-minute drive away. Fitted with wooden flooring, each room can sleep 2 guests and come with windows. Guests have access to shared bathroom and shared toilet facilities. Select rooms come with an en suite bathroom and toilet. Free bikes are available for guests to use. Airport shuttle and massage services can be arranged at a surcharge. 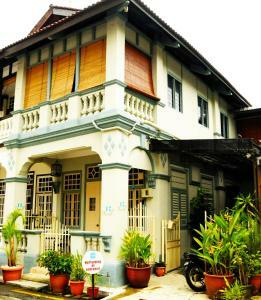 Strategically located in Georgetown, Penang Old House Homestay (B&B) offers modern and comfortable accommodation with free WiFi access throughout the property. It has a common lounge area, while free parking space is available nearby. Simply furnished, themed rooms come with air conditioning, parquet flooring, a fan and a flat-screen TV with local channels. Guests have access to either a shared or private bathroom with shower facility and free toiletries. Towels are provided. At Penang Old House Homestay (B&B), the friendly host can converse in Malay, Chinese and English. Luggage storage facility is available. The property is within 1.4 km from Komtar and Prangin Mall. The famous Gurney Plaza is 2.1 km away, while Penang International Airport is accessible with a 15 km drive. Chulia D'Motel enjoys a convenient location, a 10-minute walk from Penang Ferry Terminal and a 5-minute drive from the dining and shopping spots of Penang’s Little India. It offers free WiFi access throughout its premises. Guests can sample local specialities at the 24-hour eateries located a stroll from Chulia. For last-minute needs, there is also a 24-hour convenience store right next to the motel. Rooms are simple and offer the comfort of air conditioning, tiled flooring and a private bathroom with shower facilities. They all have a flat-screen TV. 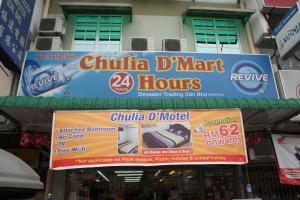 Chulia D'Motel is nestled in the heritage area of Penang, a 20-minute drive from Bayan Lepas International Airport. Prangin Mall Shopping Centre and Penang Bazaar are both just a 15-minute drive away. Operating a 24-hour front desk, Chulia Mansion featuresmodern and comfortable accommodation in Georgetown, a UNESCO World Heritage Site. It offers free parking on site and provides complimentary WiFi access in the entire property. Strategically located, the hotel is within 700 metres from Prangin Mall, Komtar and Pinang Peranakan Mansion. Penang International Airport is approximately 15 km away. Tastefully-furnished, air-conditioned rooms come with parquet flooring, a clothes rack, in-room safe, a desk and a flat-screen TV with cable/satellite channels. The en suite bathroom has shower facility, towels and hairdryer. Electric kettle is also included. Fluently-conversed in Malay, Chinese and English, friendly staff at Chulia Mansion can assist with luggage storage and concierge services. Lift is provided for guests to access upper floors, while barbecue facilities are available. Housing a restaurant, guests can sample a tasty selection of local and Western dishes. Special diet meals can also be prepared upon request. 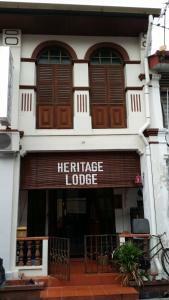 The 1926 Heritage Hotel is a restored property that was once home to British colonial administrators in Penang. The hotel offers 2 dining options, an outdoor pool, and free Wi-Fi. Located in the UNESCO World Heritage Site of Georgetown, 1926 Heritage Hotel is located near shopping centres and cultural attractions. Penang International Airport is 15 km away. Rooms at 1926 Heritage are equipped with a flat-screen TV, tea/coffee making facilities, electric kettle and ironing facilities. Some rooms feature a private balcony. Private bathrooms provide a shower and bath toiletries. Guests can visit La Herballe Spa for a relaxing massage. The hotel also offers a tour desk, car rental, a salon, and a 24-hour front desk. Express check-in/check-out is available. Buffet breakfast is served at the hotel. Hainanese Delights Restaurant serves authentic Hainanese specialities, while 1926 Café offers local favourites and Western dishes. Located in the capital city of Penang, Seven Terraces is only within a 5-minute walk to the significant Goddess of Mercy Temple and the popular Penang Peranakan Mansion. It features an outdoor swimming pool and provides free Wi-Fi access in the entire property. The property is just a 10-minute walk from Cheong Fatt Tze Mansion, Penang Museum and the large Chinese clan house of Khoo Kongsi. Penang International Airport is a convenient 20-minute drive away. Featuring a balcony, spacious air-conditioned rooms are equipped with an electric kettle, a personal safe, ironing facilities and a flat-screen cable TV. En suite bathrooms come with a hairdryer, shower facilities and complimentary bath amenities. Seven Terraces operates a 24-hour front desk and provides luggage storage. Guests can request for massage services, while airport transfers and shuttle services can be arranged at additional charges. The in-house Nyonya Restaurant serves delectable Peranakan and Asian dishes. Room service is available. Set in the heart of Georgetown only few steps from Prangin Mall, Apollo Inn offers affordable accommodation cooled with air conditioning and equipped with free Wi-Fi access. Guests can also relax on the rooftop terrace while enjoying panoramic city views. 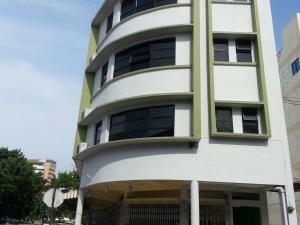 This modern building is located a 4-minute walk from Komtar and 1st Avenue Mall. The property is also 3.7 km from the famous Gurney Drive. Penang International Airport is 30 minutes away by car. Rooms are simply furnished and bathroom facilities are either shared or en suite. Tea/coffee making facilities, ironing facilities and a hairdryer are all available upon request. At Apollo Inn, guests will find a 24-hour reception counter with luggage storage space. Parking facilities are available at a surcharge. The accommodation does not house any restaurant however various local eateries including popular street food stalls, can be found just a 2-minute walk away. Situated within the UNESCO World Heritage city of Georgetown, Coffee Atelier is a collection of 5 beautifully-restored shophouses dating back to 1927. 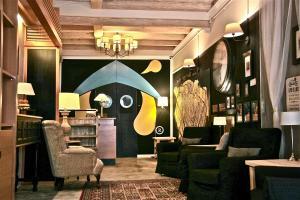 Featuring spacious suites with free Wi-Fi, it an art gallery and its own coffee museum. Located within a 10-minute walk of Blue Mansion and Khoo Khongsi, Coffee Atelier Georgetown is a 15-minute drive from Gurney Drive and a 30-minute drive from Penang International Airport. Fitted with either tiled or wooden flooring, the air-conditioned suites feature a common sitting area and a private bathroom. A flat-screen TV with a DVD player, tea/coffee making facilities and a mini fridge are included. Housekeeping is provided. Set in a traditional Chinese clan house, Muntri House offers basic, air-conditioned rooms with free Wi-Fi. Located in the UNESCO World Heritage site of Georgetown, Penang, it features a mini garden and free parking. 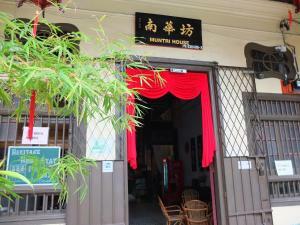 Muntri House is a 5-minute walk to Cheong Fatt Tze Mansion, St George's Church and Kuan Yin Teng Temple. Penang International Airport is approximately a 30-minute drive away. Rooms include a fan and wooden flooring. Guests have access to a shared bathroom and shared toilet. Select rooms also offer air conditioning. A mini library is available for guests to catch-up on some reading. Located within a 5-minute walk of the property is a restaurant serving local cuisine. Situated in historical George Town, Apple 1 Hotel Gurney provides comfortable rooms with private balconies. It offers complimentary WiFi access and a 24-hour front desk. Explore the UNESCO World Heritage Site of Georgetown with help from the staff at the tour desk. 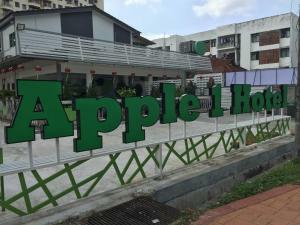 Apple 1 Hotel Gurney also offers car/bicycle rentals and shuttle services at an additional cost. Rooms are fully air conditioned and clean. Each is equipped with a seating area and a private bathroom with a hairdryer, shower facilities and free toiletries. While the accommodation does not house a restaurant, meals can be served in the room with in-room dining options. 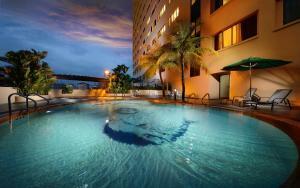 Offering an outdoor pool and a restaurant, St Giles Wembley-Penang Premier Hotel is located in George Town. Free WiFi access is available. At St Giles Wembley-Penang Premier Hotel you will find a 24-hour front desk and a bar. Other facilities offered at the property include a shared lounge, luggage storage and shops (on site). The property offers free parking. The hotel is 200 metres from Komtar, 200 metres from Prangin Mall and 1.3 km from Pinang Peranakan Mansion. Penang International Airport is 14 km away. Offering a restaurant, Cititel Express Penang is located in George Town. Free WiFi access is available. Each room here will provide you with a TV, air conditioning and satellite channels. Featuring a shower, private bathroom also comes with a hairdryer and a bidet. You can enjoy city view from the room. At Cititel Express Penang you will find a 24-hour front desk and a mini-market. Other facilities offered at the property include luggage storage and shops (on site). The property offers free parking. The hotel is 300 metres from Komtar, 300 metres from Prangin Mall and 1.4 km from Pinang Peranakan Mansion. Penang International Airport is 14 km away. 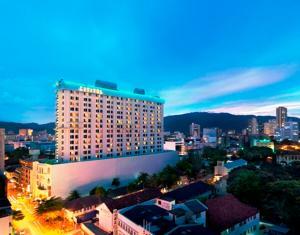 Hotel Jen Penang (formerly Traders Hotel Penang) was re-branded by Shangri-La Hotels and Resorts in 2014. 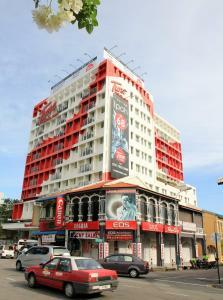 It is located in the heart of Georgetown, next to the KOMTAR building, 1st Avenue Shopping Mall and Prangin Mall. It offers an outdoor swimming pool, 2 dining options and free internet access. Guests at Hotel Jen Penang enjoy access to Golden Sands Resort in Batu Ferringhi Beach. A free shuttle service operates between the two hotels. Rooms and suites at Hotel Jen Penang feature modern Malaysian décor. Large bay windows provide views of the city. Each room is equipped with a cable TV and safety deposit box. For relaxation, guests can arrange for a massage or make use of the sauna and steam room. The 24-hour health club boasts of modern equipment. Other facilities include a salon and business centre. Buffet breakfast is available at the hotel. The Islander Restaurant’s menu consists of international dishes with local influences. Light meals and refreshments are served at the Lobby Lounge. Hotel Jen Penang is a 15-minute drive from Penang International Airport and Bayan Lepas Industrial Zone. Several tourist attractions, as well as dining and shopping options, are within walking distance from the hotel. Offering a blend of comfort with affordability, Hutton Lodge is equipped with free Wi-Fi access and is a 2-minute walk to Chowrasta Market. The property is conveniently placed within a 15-minute walk to Upper Penang Road and the famous Penang Bazaar. Penang International Airport is a 45-minute drive away. A 24-hour front desk can assist guests with luggage storage, laundry services and free parking services. The lodge also houses a garden and a lounge area. Rooms at Hutton Lodge are equipped with air-conditioning, a desk and both the shared and private bathrooms include hot/cold shower facilities. While the property does not house any dining options, Restaurant Ketapang and Eden Seafood Restaurant are situated just a 10-minute walk from the lodge. 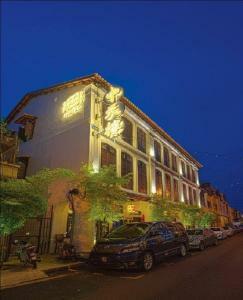 A restored 19th century building, Yeng Keng Hotel is located in George Town, a UNESCO World Heritage Site in Penang. It offers an outdoor pool, a restaurant and free Wi-Fi. 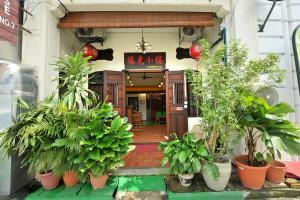 Hotel Yeng Keng is located along Chulia Street, 15 minutes on foot from Fort Cornwallis and Khoo Kongsi. Famous food centre, Gurney Drive, is a 10-minute drive away. Charming rooms showcase a fusion of Indian and British décor. They are equipped with a flat-screen TV. Tea and coffee making facilities are provided. After a day of sightseeing and tasting Penang’s must-try dishes, guests can spend some quiet time at the reading area. Laundry and dry cleaning services are available for guests’ convenience. European and local breakfast options are served at the hotel. Yeng Keng Café and Bar serves a mixture of Hainanese and Western favourites.